Asana is a popular project management tool that helps teams (and individuals) create, update and manage their tasks and projects. If you haven't heard of Asana before, visit Asana's product page to find out if it's the right fit for you! Before connecting to Momentum's Asana integration you'll need an Asana account. If you don't have an Asana account already you can create one for free on Asana's official website. To connect to Momentum's Asana integration, visit the Todo section of Momentum's Settings ⚙️, click + Add Integration button, select Asana, click Connect and then login to/authorize your Asana account. Once connected, you'll be able to access your Asana tasks and projects in Momentum's Todo. Click Todo on the left side of Momentum's Settings ⚙️menu. Scroll down to the Integrations section of the Todo Settings ⚙️, and then click the + Add Integration button. Select Asana and then click Connect. A secure window will open for you to login to/authorize your Asana account. Log in to your existing Asana account's Email Address & Password (or choose to login to a Google account). Click Todo at the bottom right corner of Momentum to access your Asana projects and tasks within Momentum. If your Asana tasks and projects aren't displaying after connecting, click Todo at the bottom right corner of Momentum to open the Todo menu, click ... at the top right corner of the Todo menu, click the Switch to... option and then select Asana. Pro tip: You can also hold down Shift and then press the ← or → arrow keys on your keyboard while the Todo menu is open, to quickly switch between your Asana integration and any other Todo integrations/sources that you're connected to. You can add, edit, and delete your Asana tasks in the same way that you would your Momentum todo items. To add a new task, click New Task at the bottom left of the Todo menu, type in your task and then press the enter/return ↵ key on your keyboard. To edit a task, double-click on it, make your changes and then press the enter/return ↵ key on your keyboard. To delete a task, hover your mouse cursor over a task, click ... that appears to the right of it, and then select the Delete option from the drop-down. To switch between your Asana projects, click the active Project name at the top left of the Todo menu, and then select the project that you want to switch to from the drop-down. Pro tip: You can also press the ← or → arrow keys on your keyboard while your Todo menu is open to quickly switch between your projects. There are a couple of different ways that you can move your Asana tasks between your lists, using the Move to... option or the Drag & Drop action. To move a task between lists, hover your mouse cursor over a task, click ... that appear to the right of a task, select the Move to... option, and then click the name of the list that you want to move the task to. To move a task to a neighboring list, click, drag and drop it on either side of the Todo menu. The list name will appear along the side when you're in the 'drop zone' and when you release your click that task will move into the list that displayed. Momentum's Asana integration includes a few additional task filters to help give you a clearer view of your tasks. All of these filters can be found by clicking ... at the top right corner of the Todo menu. The Assigned to me filter displays only the tasks that are assigned to you. To enable this filter, click ... at the top right corner of the Todo menu and then select the Assigned to me option. Clicking the Assigned to me option again will disable it. The Show subtasks filter displays the subtasks that are linked to a task. To enable this filter, click ... at the top right corner of the Todo menu and then select the Show subtasks option. Clicking the Show subtasks option again will disable it. The Show all completed tasks filter displays your completed tasks alongside your uncompleted ones. To enable this filter, click ... at the top right corner of the Todo menu, and then click Show all completed tasks option. Clicking the Show all completed tasks option again will disable it. The Show archived projects filter displays all of your archived projects alongside your active projects. To enable this filter, click ... at the top right corner of the Todo menu and then select the Show archived projects option. Clicking the Show archived projects option again will disable it. The View in Asana options redirect you to Asana's website, so you can take a closer look at and make more detailed changes to your projects and tasks in Asana's native environment. To view a project in Asana, click ... at the top right corner of the Todo menu and then select the View in Asana option. To view a single task in Asana, hover your mouse cursor over the task, click ... that appears to the right, and then select the View in Asana option. Having problems connecting to this integration? If you've connected to the wrong Asana account, or are stuck setting up the Asana integration, reset your connection by signing out of your Asana account (and/or Google account) and then reconnect to Momentum's Asana integration. Click on your avatar (or initials) at the top right corner. Select Log Out from the dropdown menu. Note: If you're using a Google Account to login to Asana, make sure to sign out of any Google Account(s) that you might be logged in to. Otherwise, you might automatically login to the incorrect Asana account when you reconnect to Momentum's Asana integration. Visit your Google Account or Gmail page. Click your avatar (or initials) at the top right corner. Select the Sign out option. Return to your Momentum page. Click Todo on the left side of the Settings ⚙️menu. Hover your mouse cursor over the Asana option in the Integrations section and then click Disconnect. Visit the Todo section of Momentum's Settings ⚙️. Click + Add Integration underneath the Integrations section. Select the Asana option and then click Connect. A secure window should now appear and give you the option to log in to your preferred account. 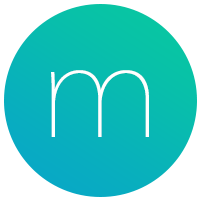 If you still have problems connecting to Momentum's Asana integration, please reach out to us at help@momentumdash.com. Make sure to provide a description (bonus points for a screenshot or recording) of where you are stuck.